Dapecsa is a company specialized in the construction of metal structures targeted at different sectors including highlights construction of industrial buildings, green walls, public and private facilities and industrial maintenance. We have the necessary infrastructure and qualified staff, installations and equipment to perform the procedures of construction correct way according to the technical specifications of projects, with the guaranty of complying to delivery date agreed and the quality expected by the customer. - Engineering and execution of turnkey industrial projects. 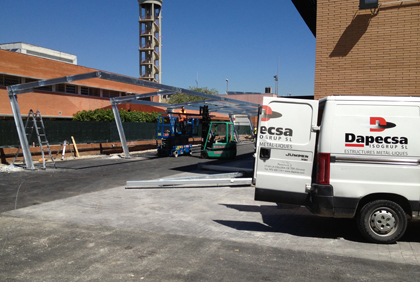 - Manufacture of metal structures, equipment and ducts. - Industrial maintenance and assemblies. 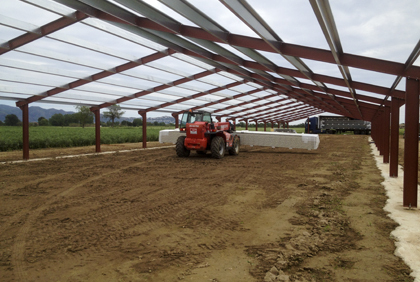 - Assembly of metal roofings, prefabricated facades and green walls. - Mechanization of special parts. - Engineering and modular construction. We use high quality products and according to current regulations. Our engineering department provides a solution to their projects. We have own facilities to develop the activity of technical office. Committed with the environmental respect, both in construction as in waste management. We have a highly qualified team to develop all kinds of projects. Are our two main objectives. Maximum commitment to get customer satisfaction.